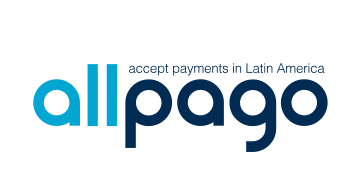 allpago (www.allpago.com) is the leading payment service provider for Latin America, enabling e-commerce merchants and payment providers to accept all relevant local payment methods through a single platform and API in over 90% of the region. allpago’s state-of-the-art technology and regulatory knowledge are used by merchants including Adobe, BMW, McAfee, Microsoft, Nintendo, Symantec and TeamViewer to maximize conversion rates and ensure compliant transactions with customers in Latin America, and as a ‘last mile’ payment interface by leading payment companies around the world such as Zuora, ACI Worldwide and Wirecard. Gartner featured allpago as the only Latin American Provider in the "Digital Commerce Vendor Guide 2018". allpago is headquartered in Berlin with regional offices in São Paulo, Mexico City, Bogota, Buenos Aires, Santiago, Lima and San Francisco.